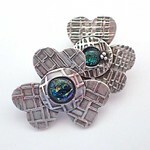 Make a Lentil Bead with Extra Sparkle! 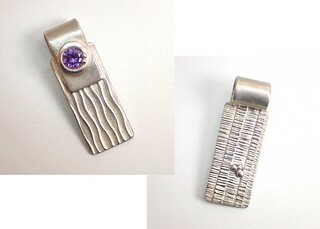 Registration has closed for my class on making silver buttons this week, but if you missed it, don’t worry. I’ll be offering that one again, in my studio, in November AND I’ve got one on making bronze buttons on the studio schedule for February. Those dates are set to coincide with Indie Knit & Spin, which is a great event that happens in the building where I have my studio. More on all that next month … because I’ve got several other great classes lined up before those. 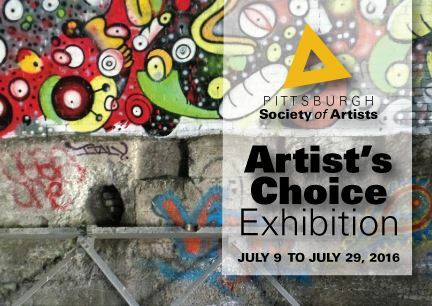 The next one will be at The Artsmiths of Pittsburgh, this Monday, September 26, from Noon to 5 pm. 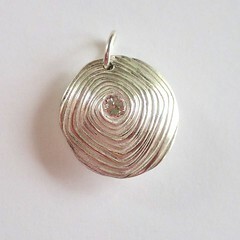 We’ll make hollow, domed, reversible, silver “lentil-style” beads—one of my most favorite basic shapes to work with! 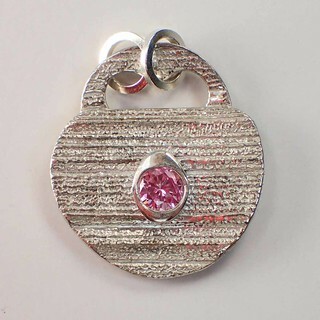 If you want to add some extra bling to yours, you’ll learn a great way to set a lovely, sparkly cubic zirconia too, using an easy technique that lines up the top of your CZ with the top of your bead in a very elegant design. If you’d like to sign up for it, details on how to register are here. Should you arrive early, consider having lunch at the Koolkat Cafe. You’ll want to start out well-nourished, from there or otherwise, so you’ll be ready to have lots of fun for the rest of the afternoon! During our session, there will be no specific time designated for everyone to take a break at once, but each person will reach stopping-points now and then where it’ll make sense to relax briefly. The beads shown here are all just under an inch in diameter. That’s a good size to start out with: somewhere between 3/4 and 1.25 inches across. We’ll be using a silver-rich version of sterling silver! 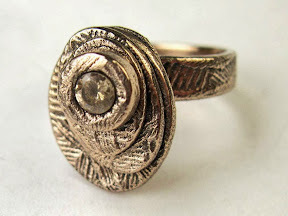 In class, I’ll help you understand the major differences (both advantages and disadvantages) of fine silver (99.9% silver), standard sterling silver (must have at least 92.5% silver, with the remaining 7.5% usually copper), and our class-clay (which is 96% silver and a mere 4% copper). 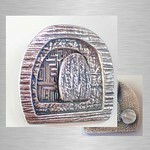 This class makes a great introduction to metal clay: the very first piece I ever made with the stuff was a lentil bead! 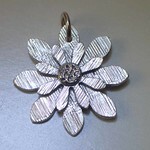 Then again, if you already follow any metal clay discussions online, you’ll know that this “960” sterling silver is still relatively new in clay form but working with it is being explored by many metal clay artisans. This will be a chance for you to work with it yourself! 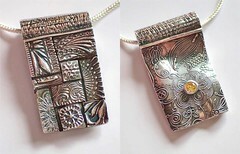 Until recently, I taught classes using “999” fine silver; I still use that for a lot of my pieces and classes, and choose among brands and formulations according to which seems to be the best one for the various designs I have in mind. But I’m thrilled to have a number of “960” versions available now too, as yet another choice, and I’m selecting projects to offer as classes that allow me to highlight the advantages (or avoid the disadvantages) among the many wonderful metal clay varieties that are now available. I’ve been doing some additional behind-the-scenes testing of the various forms of 960: don’t hold your breath waiting, but know that those results will appear here eventually too. In the meantime, besides that testing, I’m keeping busy in this part-time activity of mine through teaching some private lessons, planning for a guest lecturer session next week on metal Art Jewelry for the Costume Design (undergrad) and Costume Production (graduate) programs in the Drama Department at Carnegie Mellon University, and trying to build up inventory for the holiday-sales season. And the ‘net connection at my studio still varies from wonky to non-existent. I do have some great 960 information in the writing-queue, and I am trying to get it in condition to be posted! 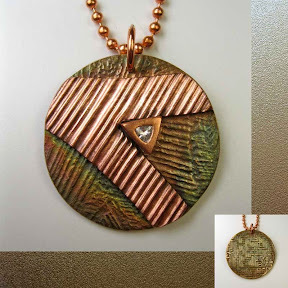 Everyone will be led through the process of developing your own unique, reversible design for a pendant and / or a pair of earrings, and then working with bronze clay to implement that idea. This is a two-day workshop! 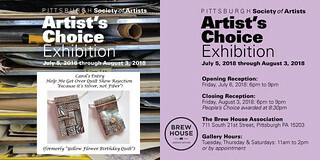 Most of the classes at the Artsmiths of Pittsburgh (at least so far) have been one-session-only events. 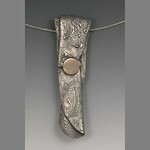 But I asked for two so I could offer one using bronze, and was delighted when they agreed to try this! We’ll do all the making on day one. I’ll fire everyone’s pieces overnight and, in the second class, we’ll see how they all turned out, and explore a handful of finishing techniques. 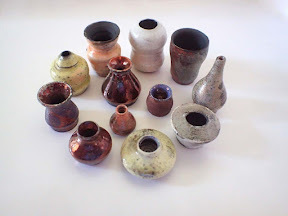 With all the base metals, there can be surprises in how they come out of the kiln. On the plus side, your piece may have acquired one of the stunning, but unpredictable, “kiln colors” that, although ephemeral, you may want to try to preserve for as long as you can. 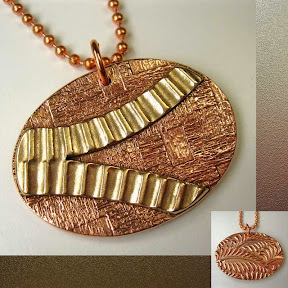 Alternatively, it may come out a dull tan or gray color, one that you’ll want to polish off your piece to reveal the golden-bronze color underneath. 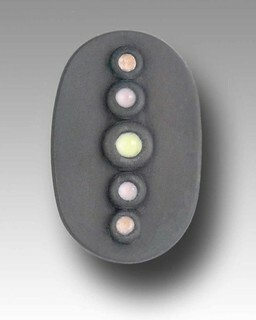 Kiln-colors? 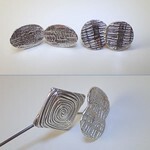 Consider the photo of three small hashi oki (chopstick rests) that I made several years ago. 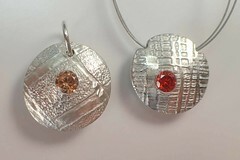 While the pendants and earrings in the “promo shot” for this class have all been polished to a high shine, two of the three of these rests came out with such beautiful kiln-colors that I couldn’t bear to polish them the same way I did the third one. (I still have these: I actually use them in my studio as dohgu oki (tool rests) to keep brushes and burnishers and other round-handled tools from rolling off my workbench!) I have polished the bright one lightly a few times, but have let the colored ones slowly darken with age naturally and they are still lovely! Alternatively, on this butterfly pendant with bronze wings (and a copper body), I left kiln-colors in the hollows of the texture, while selectively polishing the high points. That’s the thing with bronze: you can be determined and just polish the whole thing once it’s been fired, no matter what, or you can wait to see what the kiln provides and make your final finishing decisions based on what you’ve been given. Leading you through those options will be the focus of our second meeting this week. FWIW, that is why all my base metal classes are longer than a single session. If we use just a single metal (bronze, copper, or steel), we meet at least twice: once to cover making and again to cover finishing. 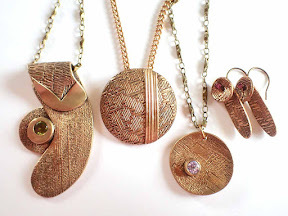 And when we start to combine metals, we meet at least three times (more is even better). Mixing metals increases the chance that the pieces will come out of the kiln with some cracking that will need to be dealt with on our second day (i.e., given some simple repairs & refired, and/or otherwise designed-around). Thus, with mixed metals, we need at least one additional day to ensure that everyone can complete their final finishing steps too. 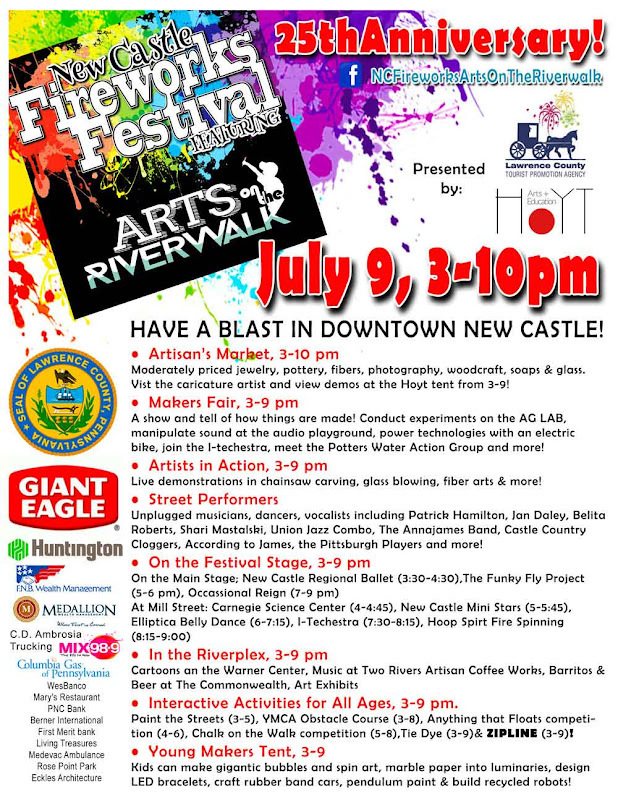 I’m really excited: The Artsmiths of Pittsburgh has scheduled five of my metal clay workshops in July and August, and two of them are special multiple-day events so I’ll be teaching there for nine days in all during those two summer months! The length of the various sessions does give a hint about the complexity of the different projects, but everything I’ve scheduled at Artsmiths for this summer should be do-able even by complete beginners. The reason I set aside more time for some of them is so that I can welcome even first-time clayers into any of these classes! 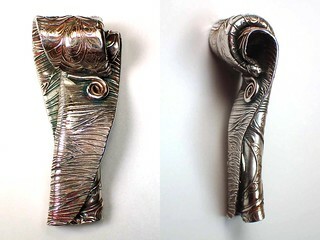 Folks with some prior experience with metal clay are likely to learn some new techniques, and may well be able to apply their existing knowledge to kick their designs up a notch. 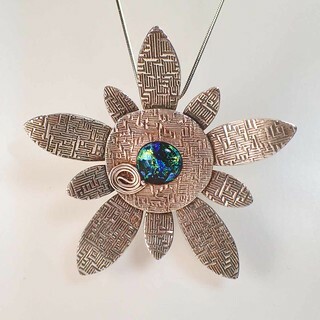 If you follow the links above to get more information and/or sign up for a class, you may notice that the descriptions there often talk about making a pendant (and the corresponding photos show a range of possibilities for how you might construct yours piece). Anyone who’s taken my classes already knows that, while I often demonstrate a pendant design, I’m happy to support reasonable variations on any given project. By reasonable, I mean variations that are appropriate to the materials we will be using, appropriate to the skill level of the student wanting to make something else and, tied to both of those, appropriate in the sense of the amount of support you’ll need to succeed at your idea while also being “fair” to others who are trying to complete the specified project. But I want everyone to make a unique piece they are happy with, so there’s a lot of leeway in exactly what you might make! Get in touch with me directly if you have any questions about that aspect of my classes. 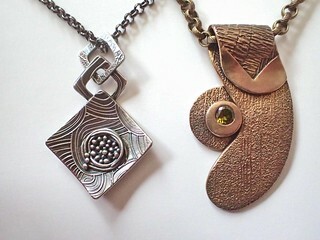 Or, just come and make some gorgeous, unique, and (probably) reversible pendants! 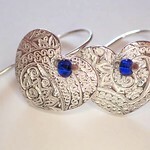 Also, if you have time and material left once you’ve completed the main project, I’m always happy to have you make a little something else with what’s left, often a pair of earrings or a few small charms, or even embellishments that you might add to future projects. I’ll fire those along with the regular class pieces. 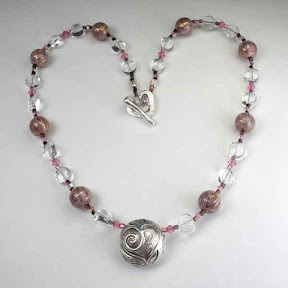 With my one-day classes, I fire pieces for you after class, tumble-polish them to an even, high shine, and return them to the site of the class in about a week. This time, I’m especially happy about the two- and four-day sessions, because I’ll fire everyone’s pieces before the last session listed and then, on that last day, we’ll review and practice a number of different finishing techniques, ones that often get overlooked in the one-day sessions (unless you schedule a time to come to my studio for a private or semi-private lesson on finishing). Is Mt. Lebanon too far for you? Would you prefer another date and time? I’d be happy to teach any of these classes in my studio (in Regent Square) or at another location (that you arrange). Let me know if you’d like to discuss any other possibilities!